When we ship the USB interfaces, we test them to make sure they are outputting the correct step pulses and the direction signal is toggling, when a change of direction takes place. 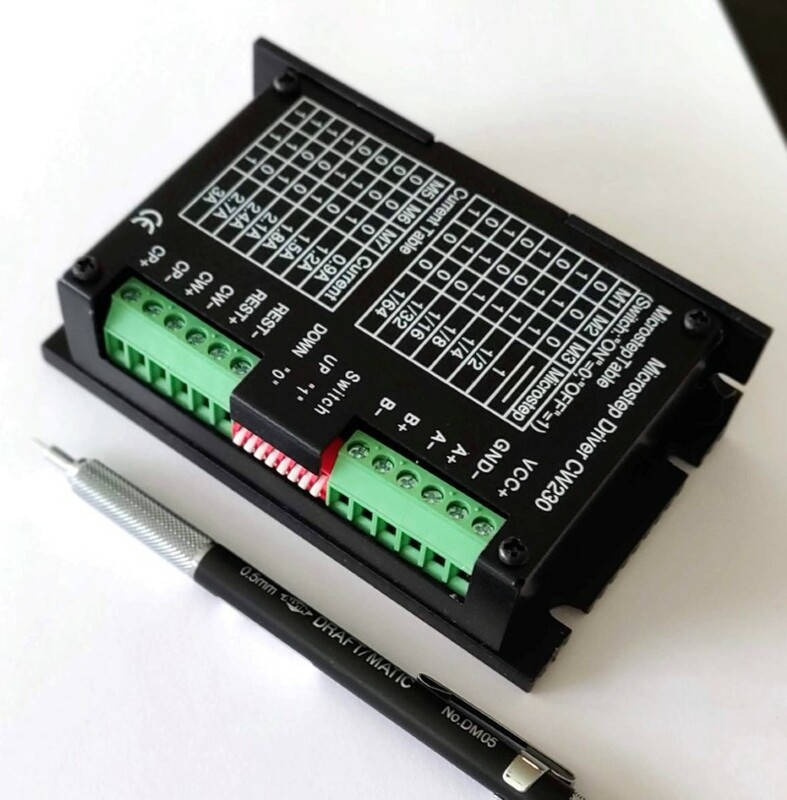 We also make sure that the latest driver is loaded into the USB interface, so you can be sure that your USB interface has gone through the quality assurance necessary for you to have no problems with connecting all of your CNC machine electronics together. I start the video with an introduction to the USB interface and explain the use of the terminals on the USB interface and how it will be connected to a CNC machine. The USB interface can control four (4) axes (four stepping motor drivers and four stepping motors) with axes designations of X, Y, Z and A. If your CNC machine has mist, coolant or a spindle, this USB interface can also control those features. The USB interface can also accept a keyboard jog panel so the CNC machine can be jogged with a set of push buttons that can be affixed to another part of the CNC machine. And there is a set of terminals dedicated to limit switch and homing. To make sure the process of wiring the CNC electronics goes as smooth as possible and there are few complications, I recommend only connecting a single stepper driver and stepper motor. Once these are connected to the USB controller, then the driver and stepper motor can be tested without the added complexity of all of the drivers and stepping motors being wires all at once. 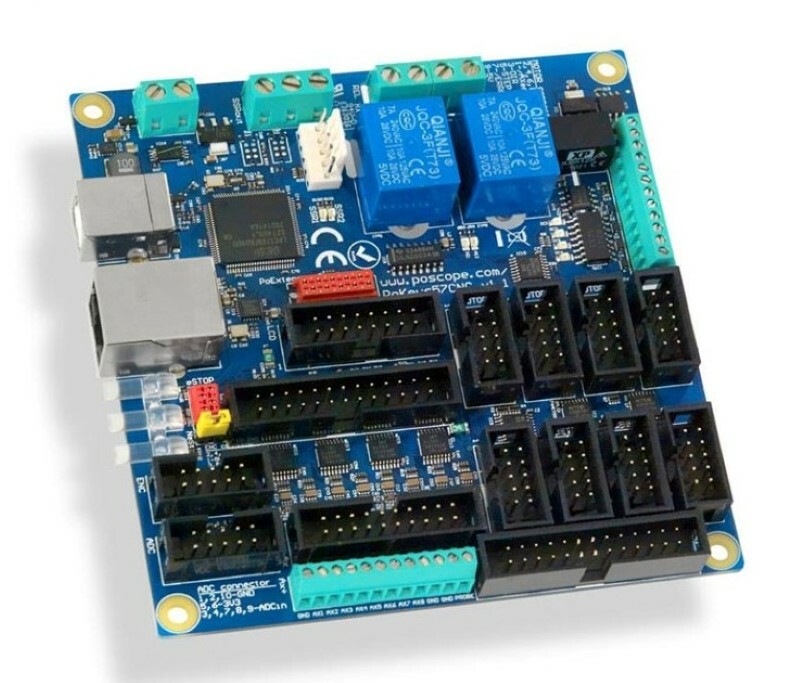 If the single driver and stepper motor does not work when connected, then there are very few troubleshooting steps that need to be considered. For instance, if the motor does not turn, you can check the connection from the stepping motor to the stepping motor driver and make sure there is a good connection at each terminal, the correct wires are paired, or inserted into the terminals, and work back to the driver connection to the power supply and work even farther back to the connection from the USB interface to the driver. Imagine having to do that if all three drivers and stepper motors were connected to the USB controller. So, the first step is to connect the USB controller to the computer using a USB cable. Make sure that the Planet-CNC software is up and running on the computer before the USB controller is connected. A little green LED will be blinking on the USB controller. This is a status LED to inform you that the controller is functioning properly. The software will show a dialog box that informs you that the CNC controller is plugged in and it is recognized and shows the serial number and the license information so that a license can be purchased from Planet-CNC. Unplug the USB CNC controller from the computer so the stepping motor driver can be connected to the USB controller. The CP terminal on the USB controller should be connected to the CP+ on the driver (this terminal may also be labeled PUL+ or STEP+). The CW on the USB controller should be connected to the CW+ on the driver (this terminal may also be labeled DIR+). The gnd terminal on the USB interface should be connected to the CP- and CW-. The gauge of these signal wires can be around 22 or 24 AWG. To make sure the signals are extra safe, use shielded cable with three conductors and make sure the shielding is connected to a GND terminal of the USB interface. The power supply can be powered using an extension cord. You will need to cut the female connector side off and expose the internal conductors at that end by removing the outer insulation. The wires within the extension cord should be at least 16 AWG. The exposed wires should be colored white, green and black. The black is live or "L" on the power supply, the white is neutral or "N" on the power supply and the green is ground and will have the universal ground symbol on the power supply. Connect these wires to the power supply. If there is any hesitation with wiring this part of the electronics, please consult, or seek assistance from a professional electrician so you can be safe. Don't plug this cable to the mains outlet until the driver and stepping motor is connected properly. Also, make sure to switch to the correct input voltage, located on the side of the power supply to the voltage of your country. If this is not done, the power supply may be damaged once plugged in. The driver can be connected to the power supply. There will be terminals labeled V+ and COM (sometimes labeled V-). The V+ will be connected to the VCC terminal on the stepping motor driver. The COM, or V- will be connected to the GND terminal on the stepping motor driver. The gauge of these wires should be at least 18 AWG. The stepping motor can be connected to the driver using the datasheet of the motor that is located on the motor product page. Just go to the stepping motor category page and select a motor by clicking on the title or picture of the stepping motor and the datasheet will either have a link, or it will be in the instructions below the stepping motor description. Use the bipolar parallel wiring scheme on the datasheet of the stepping motor. This allows you to take advantage of using a relatively low voltage power supply, but the current draw will be proportionally larger. Once all of these devices are connected, you can power up the power supply and plugging in the USB interface. Use the jog buttons in the Planet-CNC software to make the motors turn. If the motors turn, the you connected the electronics correctly. If not, immediately disconnect the power supply and USB interface and check all of the wiring by following the wiring instructions in the video again to make sure everything is connected correctly. From our experience, the troubleshooting issues have chiefly been with the wiring not connected correctly. In this video, the remaining drivers and motors are connected.